Our product range includes a wide range of mcc panel. We offer a wide assortment of Motor Control Center Panels to our clients. We are all type valuable make of best quality of raw material. This is used for distribute the electricity for different types of motor statrter as per suiatable rating and isolate through switch and without shutdown your plant. we are consider to all pareamter when design of panel such like reduse maintainse, It is very durable, reliable and acclaimed for its high efficiency,Grid breaker and trips DG breakers are automatically worked. It also has AC motor. This product has voltage and frequency in exact proportion. 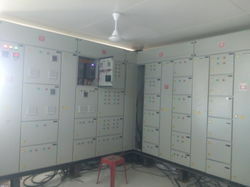 Panel Enclosure are Compatment type Starter require Space. Looking for Motor Control Center Panels ?